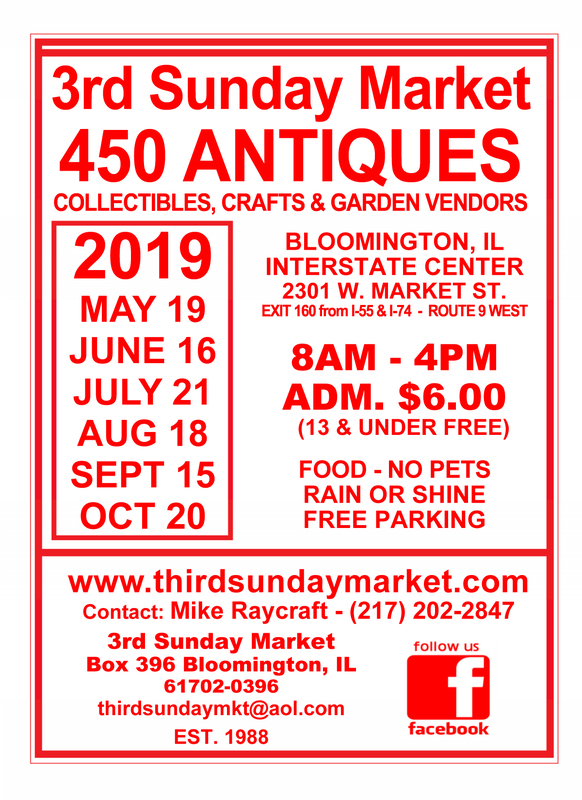 From May to October, thousands of Midwestern collectors clear their calendars to shop the 3rd Sunday Market, an event devoted exclusively to the finest in antiques, collectibles, crafts, and garden. A Bloomington tradition since 1988, the indoor/outdoor sale features more than 450 top dealers, representing 17 states. Whether you’re looking for the finest in antique furniture, americana, folk art, vintage advertising, sport memorabilia, or antique linens & clothing you’re likely to find it here.